Ricky Knue is a public high school teacher in Seattle, Washington. She is also an Alaka‘i Manager: Talking Story readers will recognize her name, for she is a generous conversationalist here, sharing her Aloha with us in the comment boxes lokomaika‘i, with generosity and keen insight. It’s skills training really: Ricky describes the immediate effects for her class, truly marvelous in and of themselves, but she is also giving an extraordinary gift of practiced listening skill to every employer who will one day hire the students she now teaches. We learn how to be better humans, weaving intentional practice into our personal skill set, skills which will continue to serve us wherever we go, and whatever we do. Please take some time to read Ricky’s article in full. She describes how she has modified our D5M workplace practice for her teens, while designing a structure that supports the D5M intent beautifully: Listening becomes a gift we give in cultivating “listening with an empty mind” so we become generous receivers. “What I have found is even the most timid participant makes it through the process, and there is much more ease and less tension within the classroom. On a deeper level, as days go by, they also learn to remain comfortable in their skin and comfortable in silence. As a result, not only do these students feel more at ease when presenting a final project, they also acknowledge each other outside the class room with eye contact and a smile. This is huge in a large, diverse high school. Students also come to learn that they don’t need to solve every problem they hear about; they just need to be fully present and inviting. We don’t have to blurt whatever comes to mind, nor tell our own story. We begin to empathize with others when they trust us and share their joys and sorrows, dreams and ideas, smiles and quiet times. 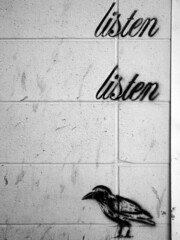 We begin to understand that listening is a great way to learn about and experience all life, and experience the joy of connection. In my years of experience coaching the D5M practice, “We press on.” is the key most managers must discover. They give up too soon instead of dealing with the discomfort that occurs naturally at first. Ricky is the linchpin in getting this to work for her and her students: There must be a mentor, an encourager, a supporter — someone with the Aloha intention of an Alaka‘i Manager — leading the way if D5M is to gain traction. Let that someone be you, too. If you have a story about the Daily 5 Minutes working for you, please share it with us. Write me if it’s not working too; let’s “press on” together (let’s Ho‘omau!) for the rewards are still waiting for you to discover them. You can find much more in this blog category listing, such as, Can you fail with The Daily Five Minutes?